For a trial period (April to June 2012) Council meetings are held on the last Thursday of each month commencing at 5.30 pm AND the second Wednesday before the last Thursday of each month commencing at 8.30 am. ?Council meetings are held in the Council Chamber at Council's Administration Centre?44 Princess Street, Macksville. 5??????? NOTICES OF MOTION ? 11.6?? Claim for Natural Disaster Funding - REstoration for Local Infrastructure - June 2011 Event ????? Council consider as a first priority the provision of a data link and adequate server for backup in the quarterly review. That Council consider suitable remote office space to house disaster recovery equipment at the quarterly review. Initial testing has been done of virtual server in library. Power points and wireless connection being provided in Senior Citizens Centre for a full test of disaster recovery. Full testing to occur at Senior Citizens Centre on Sunday 11 March. Issues with testing on 11 March 2012. Further testing to be scheduled. Pre School unable to secure an easement over adjoining land for maintenance of bushfire buffer. Plan of Management to be prepared following resolution of Pre School extensions. Pre-School advised to proceed with preparation of easements for bush fire hazard reduction. Response expected end of May 2012. Letter sent to owners in Lower Nambucca. Briefing and discussion with property owners to be arranged. Information sent through to consultant. Meeting now not likely to late March 2011. Staff workloads have not permitted to proceed in May. June now targeted. In progress ? report to October Council meeting. Agenda for Oct GPC too large. Deferred to 31 May 2012 Council meeting. Further deferred to June 2012. Reporting on establishing a stand alone library service now the priority. Arrangements with other Councils to be the subject of on-going investigation. Establishment of a stand alone library now taken priority over arrangements with other Councils. Order has been placed for Spydus software. Librarian position advertised closing 23 April. Interviews being scheduled for 25 May 2012. Decision made to defer pending determination by IPART re special variation. Report in December 2011. Deferred due to resignation of Property Officer. Letter to advise applicants that budget will not allow recruitment at this time. Council receive a report on consistent terminology for reporting forecast flood frequency, for example 1 in 100 ARI floods. Further deferred to 31 May 2012. No response as at 6 March 2012. DES will forward a further letter to Forestry NSW. Advice received from Forests that they would be prepared to enter into negotiations with Council. A feasibility study will be required to determine costs and issues and address legislative matter ? it is proposed to provide a report to Council in May. Report deferred to June 2012. That an on-site inspection at the Nambucca Beach Holiday Park be conducted by Councillors at a GPC to resolve DA2011/142 and the proposal be pegged out for that site inspection. Will be scheduled once application is ready for determination. Council write to the Minister for Police & Emergency Services and Deputy Premier seeking clarification on the GRN component of the RFS budget. Acknowledgement letters have been received advising that matter is being investigated. Council write to the Premier requesting a complete audit of the RFS focussing on financial accountability and efficiency of service delivery. Council prepare a draft brochure to demonstrate land slip risk and tips for minimising risk. Aim to have completed by June 2012. Existing information brochures have been sourced. 20 nesting boxes organised and will be installed once they have been received; two advanced trees ordered and will be planted. That a further report be prepared (on the Paveline) for the year July 2011 to June 2012 for comparison with the same period in the previous year. Council write to the Hon. Katrina Hodgkinson requesting clarification as to the Native Title Tribunal claim involving the Gumma (Boultons Crossing) Reserve. Letter sent 6 March 2012. Letter of support being sought from Gaagal Wangan that the Boultons Crossing become a nature reserve managed by NPWS. Re road name Kenwil Drive, that the matter be deferred to enable the policy to be reviewed and exhibited and then the recommendation, that Council advertise its intention to name the road ?Ken Wilson Drive? be reconsidered. In accordance with Council?s direction for 3 weeks notice the matter will be considered in May 2012. Council incorporate a question in its 2013 Resident Satisfaction Survey on community attitudes to vehicles on beaches. Survey to be arranged to be conducted in 2013. Funds will be required 2012/13 budget. 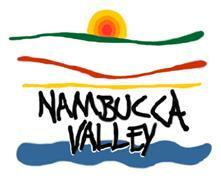 Council consider making a budget provision of $4,000 to the Nambucca District Band Committee of Management for 2012/2013. To be considered in budget. Funding removed from budget for 2012/2013. Council staff report to Council regarding the use of Facebook or Twitter to communicate with young people. Referred to Youth Development Officer for investigation and report to Council. Council write to the Hon Tony Burke MP asking what public consultation occurred prior to the determination re Lowland Rainforest EEC; also requesting any available mapping; and seeking assistance for ground truthing. Letter sent 3 April 2012. Senior management establish and lead a continuous improvement program across the organisation to achieve productivity savings, efficiency gains and revenue enhancement. Report in May 2012 on proposed program. Council write to Minister Hodgkinson seeking an assurance of the continuation of the Business Advisory Service. Letter sent 16 April 2012. Council receive a report setting out the number of rural blocks which front sealed roads but do not have a building entitlement. Council review the availability of industrial (employment) land at Nambucca Heads and Macksville and if necessary take steps to rezone further land. Clarification be sought on the mining and/or extractive industries contribution plan and information also be provided on coal seam gas extraction exploration and its implications for contribution planning. Council receive a report regarding extending life guard services over the Easter break, including community education. Also that the report consider markers for boats to access Forsters Beach at Scotts Head without conflicting with swimmers. Council consider a future budget allocation to widen the footpath on the northern side of Marshall Way to accommodate motorised scooters and other forms of assisted transport. To be considered with budget in June 2012. No provision made in budget for 2012/2013. Council resubmit previous requests to the RMS for reconsideration of the speed limit to 80 kph for all Shire roads and the Pacific Highway except those already signposted with a lower speed limit. Letter sent to RMS 2 May 2012. Placed on the Traffic Committee agenda for June Meeting. Manager Water and Sewerage has contacted other councils seeking further information. AUTHOR/ENQUIRIES:???? Colleen Henry, Grants Officer ???????? The Works Schedule of the Community Facilities and Public Open Space 2008 Contributions Plan (CFPOS) requires updating to include two new projects, the Unkya Playground and the Ferry Street Amenities block, and increase the expenditure for an existing project, the Macksville Tennis Club Car Park. The CFPOS will undergo a five-year review in 2013 and a full Works Schedule will be developed at that time in consultation with staff and community to identify a five-year list of projects.??? 1. Approve the addition of the Unkya Reserve Playground and the Ferry Street Amenities Block to the works schedule of Community Facilities and Public Open Space 2008 Contributions Plan (CFPOS) and advertise the amended works schedule for 28 days. 3. Note that a five-year Works Schedule for the CFPOS will be developed as part of the plan?s? review in 2013. If Council chose not to adopt Recommendation 1, the Unkya Playground project would not proceed and the grant money would be returned to the State government. Funding for the amenities block would need to be found elsewhere, or the amenities block may not be re-built. If Council chose not to adopt Recommendation 2, the car park would be constructed to less capacity than required and stage 2 would be undertaken at a later date, which would be more expensive. At its meeting of 26 April, Council deferred a decision on providing matching funding to the Unkya Playground project until a site visit was conducted. On its May 16 meeting, councillors viewed the site and agreed that matching funding of $19,745 be approved as long as it were sourced from S.94 contributions. The cost of replacing the Ferry Street Amenities Block, which was destroyed by a semi-trailer truck in 2011, has been estimated at $100,000, $60,000 of which will be met by insurance payment leaving a balance of $40,000 to be met through S.94. The amenities block was a frequently used community facility, providing services to residents and travellers using the picnic and boating facilities at the location. The Macksville Tennis Club Car Park is a project which Council has previously approved for inclusion in the Works Schedule of the CFPOS. Modification of project cost is allowable within S.94 requirements. Engineering Services has recently re-evaluated the project and determined that the original two-stage car park construction should be conducted in one stage, which has increased the cost from $50,000 to $100,000. The car park will cover a larger area and provide more parking spaces which will be used by patrons of the tennis club and the nearby football oval. The Works Schedule for the CFPOS will be updated to allow for these changes and S.94 funds will be used to complete the projects. There are sufficient funds in the CFPOS contributions to absorb these costs.? The existing Works Schedule is attached. A report on S.94 contributions amounts for all plans will be presented to Council following confirmation of the 2012/2013 budget. There are no risks associated with this project. The total cost of these projects is $109,745. The existing Works Schedule identifies projects with a total cost of $706,900. Contributions under this plan in the current financial year total $927,593. A balance of $110,948 would remain in the contributions fund if these projects were approved for inclusion in the Works Schedule.???? The CFPOS funds the costs of projects which are identified in the Works Schedule. That Council agree to the compulsory acquisition of Lots 90 and 91 DP 255653 by Roads and Maritime Services and accept the compensation to be determined by the Valuer General and for the funds to be directed to Council?s Property Development Reserve.? Further that Council?s seal be attached, as required, to any of the transfer documents. There are no real options.? Given the small area of land there is no purpose in seeking a separate valuation with a view to contesting the compensation determined by the Valuer General. The Roads and Maritime Services (RMS) Authority is acquiring land for the upgrade of the Pacific Highway associated with the Warrell Creek to Urunga Project.? Two small parcels of land at Valla, owned by Nambucca Shire Council, are affected by the proposed highway upgrade. The Council owned land is Lots 90 and 91 in DP 255653 with areas of 52.79m2 and 277.6m2 respectively. There is a circularised document which contains a plan showing the land to be acquired. The RMS seeks Council?s concurrence to the acquisition of these parcels of land by compulsory process as well as acceptance of compensation as determined by the Valuer General. Given the very small size of the parcels there is no purpose in seeking a separate valuation or possibly contesting the valuation determined by the Valuer General. There has been consultation with Roads and Maritime Services. The acquisition of the land has no environmental implications. The acquisition of the land has no social implications. The acquisition of the land has no economic implications. There will be monetary compensation for the acquisition of Council owned land by Roads and Maritime Services.? The compensation will be determined by the Valuer General.? It is proposed that the proceeds be directed to Council?s Property Development Reserve. There will be no impact on working funds. The Local Government Remuneration Tribunal has issued determinations to increase the fees for Councillors and Mayors by 2.5% for the 2012/2013 financial year.? It is recommended that Council adjust its Councillor Annual Fee and the additional Mayoral Allowance in accordance with the determinations. That as from 1 July 2012 Council adjust its Councillor Annual Fee and the additional Mayoral Allowance to the maximum permitted for a rural council for the 2012/2013 financial year being $10,220 for each Councillor and $22,310 for the additional Mayoral Allowance. There are 3 options.? Council can adopt a fee for Councillors and the Mayor at the minimum or maximum levels.? The minimum annual fee for a Councillor in 2012/12 is $7,740 and the minimum additional fee for the Mayor is $8,220.? Council can also choose not to adopt any fee in which case the fee which is applied is the minimum. On 27 June 2011, the NSW Parliament passed amendments to the Local Government Act to apply the same government public sector wages cap that binds the Industrial Relations Commission to the determination of ranges of fees for Councillors and Mayors.? Similar amendments have been made to other legislation so that a similar cap applies to Members of Parliament, statutory officers and public sector executives. Accordingly the Local Government Remuneration Tribunal has determined that remuneration for Councillors and Mayors can increase by 2.5% as from 1 July 2012. Nambucca Shire Council along with 76 other Councils is classed as a Rural Council.? The applicable fees for councillors are shown in the following tables.? By way of comparison with Mid North Coast Councils, Coffs Harbour, Greater Taree, Great Lakes, Port Macquarie-Hastings and Kempsey councils are all Regional Rural councils.? Bellingen, Nambucca and Gloucester Councils are classed as Rural Councils. * This fee must be paid in addition to the fee paid to the Mayor/Chairperson as a Councillor/Member (S.249(2)). The LGSA indicate that a reasonable expectation of work load for councillors would be 21 hours per week? but as the experience of the Councillor increases this may reduce slightly.? Assuming some leave, to provide for say 1,000 hours of time in a year means an hourly rate for a Councillor of about $10 per hour.? And that doesn?t include consideration of election expenses and other out of pocket expenses such as telephone calls.? Accordingly it is recommended that Councillor Fees and the Mayor?s Fee be increased to the maximum allowable for a Rural Council.? There is no impact on the environment. The NSW approach to local government is increasingly out of step with our neighbouring States.? It is possible that the current level of fees discourages younger people and/or people of more diverse backgrounds from seeking election to local government. Provision has been made in the draft budget for the increase. There has been further negotiation with the Association in relation to the potential transfer of the Showground to their ownership. The attached draft Deed of Agreement has been put to the Association for their consideration.? The Agreement encapsulates the key conditions put forward by the Association including the payment of an annual subsidy of $35,000 if the Macksville Saleyards are operational and $45,000 if they are not operational. Another key condition is that Council agree to pay the capital costs for the upgrading of the wastewater management system at the Macksville Saleyards which may arise in the future as a consequence of a notice or order from the Environment Protection Authority (EPA).? The proposed Deed of Agreement has been submitted to the Association for their consideration.? It is proposed that the Deed be limited to a period of 10 years and also that any liability Council may have for the upgrading of the wastewater management system at the Saleyards be limited to a maximum of $200,000. As Council is awaiting a formal response from the Nambucca River District Agricultural Association Limited, this report is submitted to Council for information.? When a formal response has been received and considered, a resolution will be sought from Council for the execution of the Deed of Agreement and the transfer of the property. That the information concerning the proposed Deed of Agreement between Council and the Nambucca River District Agricultural Association Limited preparatory to the transfer of the Macksville Showground to the Association be received. Council can retain the Macksville Showground, including the Macksville Saleyards, in its ownership or transfer ownership to the Nambucca River District Agricultural Association Limited.? If Council contemplates the proposed transfer of ownership then it also has options in relation to the content of the Deed of Agreement.? Manex believes the use of Council plant by Council staff acting as volunteers should be capped at $5,000 per annum (at plant hire rates).? The existing arrangement which has been in place for many years has been open ended. It will be recalled that in December 2011 Council invited an expression of interest from the Nambucca River District Agricultural Association Limited (the Association) to purchase the freehold title comprising the Macksville Showground.? The Association is a company whose charter and reason for existence is the delivery of the Macksville Show and the operation of the Showgrounds.? Council has delegated powers to the Association under Section 355 of the Local Government Act as a Committee of Management for the Macksville Showground. The option emerged following the consideration of the future of the Macksville Saleyards in September 2011. The Association submitted an expression of interest on 1 February 2012 which was subject to a number of conditions.? Importantly, at that time Council was unsure of what its liability would be for any work heath and safety deficiencies at the Macksville Saleyards and also for the upgrade of its effluent management system. Since then the WorkCover Authority of NSW has undertaken a work health and safety audit of the Saleyards and, with the exception of the tiered seating beside the sales ring, has determined a general overall satisfactory result. Council?s Manager Business Development has also negotiated the disposal of Saleyards effluent at the Wirrimbi Cold Stores (Wingham Beef Exports) wastewater treatment system.? The EPA has assessed this arrangement as being a viable short to medium term solution, as long as Wingham Beef Exports are willing to accept and manage the effluent. With these two key uncertainties largely resolved for the short to medium term, there has been further negotiation with the Association in relation to the potential transfer of the Showground to their ownership. Whilst the recent issues have been largely resolved at minimal cost, the Council still needs to consider opportunities to transfer ?non-core? assets simply because the Council?s revenue is incapable of funding the depreciation of its assets. At the same time the political nature of the Council makes it more difficult to manage a significant business like the Macksville Saleyards. The Council is more constrained in making the difficult and timely decisions which have to be made to run a business. The Council also carries more overheads and as a public authority has a low risk tolerance. In this regard the Association should have the potential to operate the Saleyards in a more business like way and apply its considerable volunteer workforce to improve the bottom line. The conditions of a possible transfer of ownership were discussed in a meeting with Association representatives on 15 May 2012. The proposed Deed of Agreement has been sent to Council?s solicitor, Terry Perkins for review. There has been consultation with the Nambucca River District Agricultural Association Limited and with Council?s solicitor, Terry Perkins. Manex considered the draft deed of agreement at its meeting on 23 May 2012.? The consensus was that the provision to allow the use of Council plant by Council staff acting as volunteers should be capped at a plant hire value of $5,000 per annum.? The agreement would need to be altered to reflect this or some other figure. There are no implications for the environment in relation to the possible transfer of ownership.? Council?s Manager Business Development has negotiated a far superior environmental outcome for the management of wastewater from the Saleyards whereby it will be treated in the Wirrimbi Cold Stores (Wingham Beef Exports) wastewater treatment system instead of being discharged directly onto land at North Macksville. There are no social implications.? The transfer of the Showground to the Association will not impact on the activities undertaken at the Macksville Showground. The ownership and liability for the Macksville Showground has passed between Council and the Nambucca River District Agricultural Association.? There is a risk that if the Showground is not properly managed, and notwithstanding the proposed agreement, there may be pressure at some future time for Council to reclaim ownership.? There is similarly a risk that a future Council may not have the necessary funds to maintain the Showground in a reasonable condition. In relation to the quantum of the subsidy there is a risk that it may be either excessive or insufficient.? The actual average annual net cost of the Saleyards over the past 5 years has been $12,943. In addition over the past 2 years Council has made some significant non-operating expenses in relation to upgrading electrical switches ($60,000) as well as the recent rehabilitation of the internal road ($93,000). The Deed of Agreement also proposes waiving outstanding loan repayments in relation to the property.? The outstanding loans comprise an internal loan balance of $77,484 for the Saleyards as well as an outstanding loan balance of $7,186 to the Association which was for the construction of stables. In weighing up risk Council also has to consider the potential for unplanned capital expenditure which may arise in the future as a consequence of regulatory change. Taking into account Council?s financial situation and inability to adequately fund the depreciation of its assets, the proposed Deed of Agreement and transfer of ownership of the Showground is considered to be in Council?s medium to long term interest. The impact on future budgets is discussed in the risk section.? Council would need to accept a loss of working funds of $84,670 for the write off of the loans, but balanced against this are the net annual savings identified in the report of approximately $67,791 per annum (with the Saleyards operating).? The transfer would also obviate all risk of future unplanned capital expenditure (with the exception of the effluent management system). If the proposed Deed of Agreement proceeds there will be a loss of working funds of $84,670 as a consequence of the write off of outstanding loan balances for the saleyards ($77,484) and also for the showground ($7,186). B.???????? On 1st February 2012 the Association wrote to the Council expressing interest in purchasing the Macksville Showground and including the Macksville Saleyards subject to a number of conditions. C.???????? The Mayor and the General Manager of the Council met with the President and the Secretary of the Association on 15th May 2012 and agreed to put in place an agreement for the formal consideration of both the Council and the Association wherein the Council will sell the Macksville Showground and including the Macksville Saleyards to the Association for $1.00 subject to conditions. D.???????? The Environment Protection Authority has, in a letter received by Council on 16 May 2012, advised that Council?s proposal to dispose of the Macksville Saleyards wastewater to the Wirrimbi Cold Stores (Wingham Beef Exports) wastewater treatment system is a viable short to medium term solution, for as long as Wingham Beef Exports are willing to accept and manage the effluent.? However, due to the uncertainty around the longer term viability of this agreement with Wingham Beef Exports, that the Council must be committed to progressively work towards upgrading the wastewater management system at the Macksville Saleyards. E.???????? Wingham Beef Exports has advised the Council that they will allow the disposal of the Macksville Saleyards wastewater to the Wirrimbi Cold Stores (Wingham Beef Exports) wastewater treatment system at no cost provided the Council makes available the use of the Macksville Saleyards for the yarding and transfer of livestock they may acquire from producers in the Nambucca Valley at no cost. F.???????? The WorkCover Authority of NSW undertook a work health and safety audit of the Macksville Saleyards on 13 April 2012 and by letter dated 16 April 2012 advised the Council that the audit determined a general overall satisfactory result but required that the tiered seating adjacent to the sales ring comply with Australian Standards. 1.???????? The Council will sell the Macksville Showground and including the Macksville Saleyards being all of the land contained in Lot 1 DP 434625, all of the land contained in Lot 1 DP 510178 and all of the land contained in Lot 2 DP 510178 to the Association for $1.00. 2.???????? The Council will pay all legal costs incurred by both the Council and the Association on the transfer of the land including stamp duty. 3.???????? The Council will make an annual payment to the Association of $35,000 if the Macksville Saleyards are operational and $45,000 if the Macksville Saleyards are not operational, for a period of ten (10) years.? At the expiration of the ten (10) year period the Council shall consider, but shall not be obliged to, extending the subsidy at this agreed amount or some other agreed amount.? For the purposes of this clause, the Macksville Saleyards shall be deemed operational if there is a public auction of livestock on at least six (6) separate occasions over any 12 month period. 4.???????? The annual payment referred to in Clause 3 shall be indexed annually in accordance with movements in the Consumer Price Index. 5.???????? The Association warrants that it will allow Wingham Beef Exports to use the Macksville Saleyards for the yarding and transfer of livestock they may acquire from producers in the Nambucca Valley at no cost whilst ever Wingham Beef Exports continue to agree to receive and dispose of effluent from the Macksville Saleyards at the Wirrimbi Cold Stores (Wingham Beef Exports) wastewater treatment system at no cost. 6.???????? The Council warrants that it will pay any licence fee which may be required by the Environment Protection Authority or their successor as a regulatory authority for the disposal of effluent from the Macksville Saleyards at the Wirrimbi Cold Stores (Wingham Beef Exports) wastewater treatment system. 7.???????? The Council warrants to pay all capital costs which may be incurred as a result of any order from the Environment Protection Authority or their successor as a regulatory authority in relation to the upgrade of the wastewater management system at the Macksville Saleyards up to a maximum of $200,000 in 2012 Australian dollars for a maximum period of ten (10) years. 8.???????? The warranty referred to in Clause 7 shall be indexed annually in accordance with movements in the Consumer Price Index.? The warranty does not extend to additional operating costs. 9.???????? The Council warrants it will install tiered seating adjoining the sales ring at the Macksville Saleyards which is compliant with Australian Standards either before or within two (2) months of the execution of this agreement. 10.??????? The Council warrants that it will continue to use the Macksville Saleyards as its stock impounding facility and will pay the Association for such use in accordance with the Association?s fees and charges whilst ever the Macksville Saleyards are operational or for a period of ten (10) years, whichever occurs first. 11.??????? The Council warrants that it shall provide the Association with a Traffic Management Plan for the Macksville Showground including the Macksville Saleyards and the Council shall undertake all work required by the Traffic Management Plan except that the Council shall not be required to provide labour to control or direct traffic. 12.??????? The Council warrants that it shall continue to allow its employees, acting as volunteers for the Association and in their own time, to utilise Council plant to attend to work required at the Macksville Showground and Macksville Saleyards.? Council warrants that it will make the plant available at no cost to the Association provided it is not required for Council work. 13.??????? The Council warrants that its Grants Officer will continue to assist the Association in identifying and applying for grants to financially assist the Macksville Showground and/or Macksville Saleyards. 14.??????? Upon the execution of this agreement, the Council will provide to the Association all relevant documentation concerning the operation of the Macksville Saleyards including, but not limited to all work, health and safety systems, the saleyards licence, the saleyards operators association membership details, weighbridge agreement, and any lease or licence agreements. 15.??????? The Council warrants that there is no contamination on the site and will attend to any order issued by a regulatory authority to remove or ameliorate contamination. 16.??????? The Council warrants that it will continue to undertake the inspection of amusement devices at the annual Macksville Show. 17.??????? The Council warrants that upon execution of this agreement that the Association shall be entitled to retain any funds it may have in its control as a consequence of it acting as the Macksville Showground Committee of Management, being a Section 355 Committee of Management under the NSW Local Government Act 1993. 18.??????? The Council warrants that upon execution of this agreement it shall waive any and all outstanding loan repayments which may exist between the Council and the Association or between the Council and the Macksville Showground Committee of Management. ?This includes any outstanding loan repayments for horse stables. 19.??????? The period of this agreement is 10 (ten) years. In accordance with the provisions of Section 407 of the Local Government Act 1993 I wish to report the extent to which the performance targets set in Councils 2010/2030 Management Plan have been achieved. The Performance Targets for quarter to 31 March 2012 are circularised. That Council note the extent to which the Performance Targets have been achieved for the quarter ending 31 March 2012. The report concerns adopting the draft 2012/23 Operational Plan and draft 2012-2016 Delivery Program so they may be placed on public exhibition between 1 June 2012 and 28 June 2012. 1.?????? That Council advertise its draft 2012/23 Operational Plan and draft 2012-2016 Delivery Program for public comment between 1 June 2012 and 28 June 2012. 2.?????? That a further Workshop be conducted at 9.00am on Thursday 7 June 2012 in relation to reviewing the Delivery Program and the strategies in the Operational Plan and Delivery Program. Council can amend its draft 2012/2013 Operational Plan and draft 2012-2016 Delivery Program as its sees fit.? However the draft plans have to be placed on public exhibition on 1 June 2012 to enable the 28 day public exhibition period and adoption by Council prior to the end of the financial year. Council considered the budget component of its 2012/2013 Operational Plan and 2012-2016 Delivery Program at a workshop on 23 May 2012. Following overhead distributions, these changes have resulted in a surplus of $6,000. Council now needs to formally adopt the draft 2012/2013 Operational Plan and 2012-2016 draft Delivery Program so they may be advertised for the minimum statutory period of 28 days.? This will enable Council to finally determine these documents and make the rates at its last meeting of the financial year which is scheduled for Thursday 28 June 2012. The Independent Pricing and Regulatory Tribunal will be announcing the outcome of Council?s special rate variation application on 6 June.? Depending upon the outcome of this application, Council may have to adjust its budget when it is finally considered on 28 June. The draft documents to be placed on public exhibition are circularised with the business paper.? The formatting of the documents to be placed on public exhibition will be adjusted to conform with the Integrated Planning and Reporting legislation but the proposed content will be the same. At the Workshop held on 23 May there was insufficient time available to consider the 4 year Delivery Program budget or the strategies associated with both the Delivery Program and Operational Plan.? The work which has been recently undertaken on the Delivery Program and Council?s Long Term Financial Plan indicates that Council?s existing operations are financially unsustainable and a strategic review is required to address potential financial insolvency. It is proposed that a further Workshop be held at 9.00am on Thursday 7 June to review the Delivery Program and the strategies in both the Delivery Program and Operational Plan.? The Council needs to plan for service level reductions so that the community can have input into any options which may exist and also to try and avoid future redundancy costs. A report will be prepared on the issues to be considered by the Workshop and the potential options for reducing costs. There has been consultation with Manex and Council staff in the preparation of the planning documents.? There has been consultation with Council in relation to the budget components of the Operational Plan and Delivery Program. At the Manex meeting on 23 May it was agreed that a further Workshop needs to be undertaken in relation to Council?s strategic direction and in particular the Delivery Program and Long Term Financial Plan. The draft plans indicate Council?s strategies for managing the environment. The draft plans indicate Council?s approach to social issues. The draft plans indicate Council?s strategies for developing the local economy. The major short term risk concerns the determination of Council?s special rate variation application by the Independent Pricing and Regulatory Tribunal (IPART) on 6 June 2012. However there is a significant medium to long term risk that Council?s operations are financially unsustainable and a strategic review is required to address potential financial insolvency. The draft plans set out Council?s budget for 2012/2013 and forward estimates for the following four years. The draft plans determine any variation to working funds. AUTHOR/ENQUIRIES:???? Barbara Parkins, Executive Assistant ???????? Council has resolved outstanding matters in relation to the easement. Works impact on community common space (Body Corporate). As part of the Our Living Coast Project on-ground works program, $40,000 was devoted to the Grassy Park Reserve Flying Fox camp for a Plan of Management and extensive rehabilitation works for both the camp area and the surrounding native vegetation including extensive bank stabilisation. GeoLink was the preferred consultant to undertake the study, as they have had extensive experience in preparing plans of management for flying fox camps in NSW. The Flying Fox Plan of Management was placed on public exhibition between 22 March and 27 April 2012. 1????????? That the Flying Fox Plan of Management for Grassy Park, Bowraville be endorsed. 2????????? That grant funding be used and sourced to implement the actions. The Flying Fox Plan of Management ? Grassy Park, Bowraville was presented to Council on 15 March 2012 for endorsement for exhibition. The PoM was subsequently placed on public exhibition from 22 March through to 4pm, 27 April 2012. There was 1 submissions received. This submission is attached and responses have been provided to the points raised as appropriate. Some of the issues are difficult to respond to due to the difference of opinion with legislation. The PoM is to help set down the fundamentals of the rehabilitation of the park, for the use of native species and humans. Having a PoM can attract funding both state and federal for the rehabilitation of the EEC's and the ongoing maintenance of the core camp. The main body of the PoM is the vegetation management plan. Ongoing licences and permits from OEH are dependent on the endorsement of the PoM. To not endorse the PoM will mean Grassy Park will be left with the current roster of mowing of the grass. Weed species will grow tall and the Flying Foxes are likely to roost closer to residential properties and the problem will be inflamed. For the PoM to work, funding is necessary for the continuation of rehabilitation works within the park. Table 1 Responses as considered appropriate to the submission received. Flying Foxes are moving into urban areas due to loss of roost habitats in proximity to food resources, as well as through creation of urban gardens that include nectar sources that attract Flying Foxes (FF). More camps appear to be forming across the landscape which as a result create conflicts between human residents and the Flying Fox. The only way to deal with the conflicts are in accordance with legislation and this process is not always acceptable to urban residents. Relocation can only be granted under licence from the Office of Environment and Heritage under special circumstances and considerations as set out in the NSW Flying Fox Camp Management Policy. The $40,000 is from an Urban Sustainability Grant. The project has been passed by the NSW Environmental Trust. Flying Foxes have been using the Bowraville area as a camp (intermittently) for some years now. There are several examples of Flying Fox colonies next to urban areas that have been accepted within the community such in Bellingen and Wingham Brush. A buffer zone in Grassy Park has been planted with low shrubs that Flying Foxes do not particularly like and so they will not roost in. This buffer zone once fully grown will buffer the closest residents from the noise and smell of the camp. Within the PoM, sections of Grassy Park have been identified and each section has been worked on with regard to eradicating Camphor Laurel. Since Flying Foxes roost in these trees, OEH will not let Council remove all the Camphor Laurels at the one time, the PoM sets out a time frame to remove the Camphor Laurels and replant with EEC species. Air conditioners were an option for the Maclean community, this was discussed at the Bowraville meeting, it is a suggestion on what types of things the community has open to them. However, the outcome of the meeting was that this was not a real option that the residents of Bowraville wanted. Whilst it is acknowledged that Flying Fox droppings do make a mess it is difficult to eradicate within legislative requirements. The Grey Headed Flying Fox has an important cultural significance to the Gumbaynggirr People. If the Bowraville LALC is successful in the land claim then management of the park will pass from Nambucca Shire Council to the Bowraville Local Aboriginal Lands Council. It is unlikely that anything will change as the park will remain as public recreation. Further to this The Threatened Species Conservation Act 1995 and National Parks and Wildlife Act 1974 apply irrespective of whether Native Title is granted over land. If the PoM is still in existence the LALC will continue with it unless they have a PoM of their own for Grassy Park. Comments noted. The area of Grassy Park has been transformed in the last 4 years from a heavy weed infested 'forest' into an area which can be used. The PoM sets out more works to enhance the vegetation of Grassy Park. Grassy Park is the chosen home by Flying Foxes due to its proximity to the limited food supply in the surrounding areas. Grassy Park is a known area of three EEC's and is located in an urban area. For the Flying Foxes to survive we must enhance their chosen camp and protect it whilst helping to alleviate the conflict with residents in the surrounding area. The works done and planned will help alleviate the conflict of living near a large camp. The PoM helps set out the works to be done to do this. If the conflict between the residents and the camp is not alleviated, then the loss of the species and or community will result in an economic loss. Enhancing the camp areas and EEC will put Bowraville on the map and increase the tourist economy of the town. The risk is high if nothing is done to alleviate the conflict. Having a PoM will alleviate the conflict and sets out the right way to deal with camps that are regionally significant. Grant funding will be identified into the future for the life of the PoM. The Local Emergency Management Committee resolved in August 2011 to commence a review of the Nambucca Shire Local Disaster Plan (DISPLAN) adopted November 2007.? The first review commenced in October 2011 and was 90% completed by November 2011. 1??????? That the Nambucca Local Emergency Management Committee forward the reviewed DISPLAN to the North Coast District Emergency Management Committee ?DISPLAN Peer Review Committee? for their formal endorsement. 2??????? That Heather Leclercq be thanked for her work in formatting and updating the DISPLAN. That Council receive and note the report that the revised Nambucca Local Disaster Plan (DISPLAN) was endorsed by the North Coast District Emergency Management Committee ?DISPLAN Peer Review Committee? on the 12 April 2012. There are no options relating to this report. The purpose of a local disaster plan (DISPLAN) is to provide detailed arrangements at a local level that prevent or mitigate, prepare for, respond to and recover from emergencies within the in the Nambucca Local Government area.? The arrangements detailed in the Nambucca Local Disaster Plan apply to emergency operations conducted by the Local Emergency Operations Controller (Senior Police Officer in charge) or the relevant combat agency. The revised DISPLAN was presented to the North Coast District Emergency Management Committee (NCDEMC) ?DISPLAN Peer Review Committee? for their formal endorsement. The NCDEMC formally endorsed the amended Nambucca Local Disaster Plan (DISPLAN) on the 12 April 2012. The DISPLAN is comprised of a number of documents due to the sensitive information contained therein and is available in two versions, restricted and unrestricted.? ????????? Mayor, General Manager, Local Emergency Manager Officer (Director Engineering Services), nominated LEMC members and adjoining local Council Local Emergency Management Committees. The Unrestricted version is available for viewing by Councillors and the general public through Council?s website under Community Information/Emergency Information/Displan and a hard copy is available for viewing at the Nambucca and Macksville libraries. There is no impact on the environment allocated with this report. Matters associated with social issues, such as displaced residents are contained in the restructured issue of the DISPLAN and relate to Welfare. There are economic implications associated with emergency events such as storms and floods. The DISPLAN has identified all potential risks and each agency has prepared standard operating procedures for such events. There is no direct impact on the annual budget or future budgets associated with this report.? Council allocated funds towards the various emergency services within its annual budget. There are no variations to working funds associated with this report. AUTHOR/ENQUIRIES:???? Keith Williams, Manager Technical Services ???????? With the upgrade of the Pacific Highway section of road from Warrell Creek to Urunga a number of service roads and over bridges will be constructed. The service roads and existing Pacific Highway that will provide new public road access to properties directly affected by the highway upgrade will need to be named in accordance with Council?s current Road Naming Policy. One of the proposed service roads connecting the new interchange with Boggy Creek Road is planned to be constructed to a local road standard, however the ultimate class of this road will be industrial.? It would be prudent at this stage for council to request Roads and Maritime Services design and construct earthworks and road pavements to cater for industrial class traffic loads and road widths. When the Warrell Creek to Nambucca Heads stretch of the Pacific Highway upgrade is completed there will be two substantial bridges on the highway alignment, one over the Nambucca River at Macksville and one, less substantial in length, over a new service road, existing railway line and Warrell Creek River at the southern approach to Warrell Creek. Council may wish to consider submitting names for the two large bridges. A similar decision will need to be made as to what type of treatment Council is willing to accept as infill for the two roundabouts at the Nambucca Heads interchange.? The options being concrete infill, landscaping or another type of entry statement to the Valla Urban Growth Area. 1??????? That Council liaise with Bellingen Shire Council with suggestions to rename the existing Pacific Highway that will be by-passed when the Warrell Creek to Urunga Upgrade is complete, with examples being: Nambucca ? Bellingen Way or Twin Rivers Way. 3??????? That Council propose a War Memorial theme for the names of bridges constructed as part of the Warrell Creek to Nambucca Heads Pacific Highway upgrade and that the new bridge over the Nambucca River be named ?Frank Partridge VC Memorial Bridge? and that Council seek advice from the Frank Partridge Military Museum to name the other bridge/s. 4??????? That Council advise Roads and Maritime Services that the two roundabouts at the new Nambucca Heads Interchange be constructed with concrete infill and that the central 5 metre radius be sacrificial in nature for easy removal to compliment future landscaping works or entry statement treatment. 5??????? That Council advise Roads and Maritime Services the service road connecting the new Nambucca Heads Interchange to Boggy Creek Road and two properties further be designed and constructed to a cater for Industrial traffic loads and road widths. 4??????? Council accept two concrete filled roundabouts at new Nambucca Heads Interchange and consider installing an alternative entry structure in conjunction with Valla Urban Growth Area Development Control Plan. Work is due to commence on the upgrade of the Pacific Highway from Nambucca Heads to Urunga early 2013.? The existing length of highway from the Nambucca Heads interchange through to Raleigh is proposed to be public road, as such the road will require a name, ?Old Pacific Highway' has already been ruled out. As the existing stretch of Pacific Highway, once bypassed, extends into Bellingen Shire it is prudent for both Nambucca and Bellingen Shire Council?s to agree on a name at this early stage.? A majority of the road will initially be within Bellingen Shire, however, once the Macksville bypass is complete the road to be named will extend to North Macksville and connect with Cooper Street, whereby a majority of the bypassed highway will be within the Nambucca Shire. A road name without referring to either shires title may be the wisest option, alternatively one that identifies the joint natural appeal of the area and one that encourages tourists to leave the highway is worth exploring, similar to Waterfall Way. Properties that have an existing access to the existing Pacific Highway will be denied access on to the new Pacific Higheway when the upgrade is complete.? A series of service roads will be constructed to provide public road access from the affected properties to nearby interchanges. Road 1:??????? Extends from Burkes Lane, Valla north into Bellingen Shire LGA for approximately 1.5 km and provides direct access to one property and a forest road, both within Bellingen Shire. Road 2:??????? Extends from Burkes Lane Valla providing a connection with East West Road for an approximate distance of 1km.? There is a temptation to continue with the name Burkes Lane however the additional one kilometre will disrupt the integrity of the rural road numbering system.? This stretch of road requires a new name. Road 3:??????? Extends from East West Road and provides a connection with Deep Creek Road for approximately 1.5 km.? This new connection joins onto Blackbutt Road which already has properties addressed to this road name.? The obvious choice for this road is to continue with the name Blackbutt Road. Road 4:??????? Is proposed to be a short road, off Deep Creek Road and opposite Blackbutt Road providing access to 3 properties. The 3 properties currently enjoy access to the Pacific Highway via a right of carriageway. Road 5:??????? Will provide a connection from the new Nambucca Heads interchange to Boggy Creek Road and a further 2 properties with existing Pacific Highway frontage.? The construction of this road will initially be to a minor local road standard, with a possible future upgrade in parts, to an Industrial Estate Standard when identified for upgrades associated with the Valla Urban Growth Area. Substantial earthworks and reconstruction of this road will be required when the upgrade is necessary.? It would be prudent at this stage and substantial future cost saving to request Roads and Maritime services carry out earthworks, pavement construction and all associated civil works to cater for an Industrial Estate standard of road.????????? A further road is to be constructed connecting the new Nambucca Heads interchange with Road 5, this connecting road will be the primary access into the Valla Urban Growth Area, as such its naming will be discussed in the Development Control Plan for the area.? Again the standard of this road will need to be designed and constructed to cater for its ultimate use. Several bridges will be constructed when the Warrell Creek to Nambucca Heads stretch of the Pacific Highway upgrade is completed.? Two of the bridges will be substantial in size and Council consideration for naming these two bridges can start at this early stage. Bridge 1:????? Over the Nambucca River at Macksville. Bridge 2:????? Over a new service road, existing railway line and Warrell Creek river at the southern approach to Warrell Creek. As for the other bridges, Roads and Maritime Services indicated that they don't normally name the overpasses and that they are identified by this road name. Council may wish to consider a War Memorial theme for the bridge names. ?Naming the bridge over the Nambucca River ? ?Frank Partridge VC Memorial Bridge? would be highly regarded and supported. Council may wish to we seek advice from the Frank Partridge Military Museum to name the other bridge/s and work through a list of local diggers killed in combat or received bravery medals - not necessarily the VC. Work is due commence on the upgrade of the Pacific Highway from Nambucca Heads to Urunga early 2013.? When completed there will be a new interchange to service Nambucca Heads.? The interchange will also provide the predominant entry to the Valla Urban Growth Area, access to the heavy vehicle rest area and a proposed service area. The interchange will consist of an overbridge connecting two roundabouts with the requisite slip lanes. Landscaping works are proposed at the interchange as a mitigation measure that also has the potential to identify the arrival point to Nambucca Heads as a milestone and orientation point. Landscaping the centre of the roundabouts is also an option as they will act as an entry statement to Nambucca Heads and the Valla Urban Growth Area.? Council will need to consider the cost of on going maintenance of the landscaped roundabouts, alternatively a treatment with low to no maintenance can be considered with either stencilled concrete infill or concrete infill with a low maintenance entry statement/structure. Council may also elect to have a structure (similar to that at the Port Macquarie interchange) erected in the centre of the round-about.? A potential nautical theme such as dolphins or whales may be considered as a good entry to the beaches and valley. No environmental issues as a result of this report. No social impacts as a result of this report. No social impacts as a result of this report, however the costs associated with entry statements to Nambucca Heads and Valla Urban Growth Area will need to be considered. There is a risk of ongoing maintenance costs if the two roundabouts are landscaped. There is a possible future risk of substantial costs associated with earthworks, road widening and road reconstruction if the future Industrial Estate access roads are not constructed to their ultimate class. There is a potential impact on future budgets with ongoing cost and cost of future road works in the event that the industrial access roads are constructed to a lesser than desired standard (see comment in Risks).? Associated with maintenance of the two roundabouts. General funds for within the Parks and Reserves for roundabout maintenance. 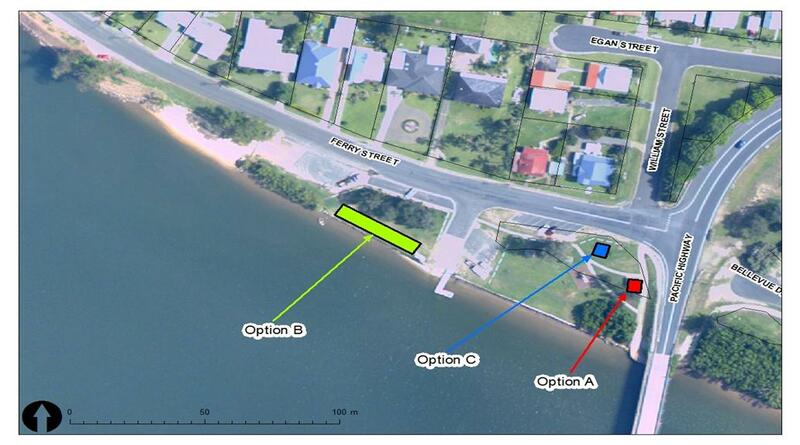 Council has received two requests to name the new beach area adjacent to the Lions Park, Ferry Street Macksville.? Council can decide to select one of the proposed names and advertise the name in accordance with Geographical Names Board Guidelines for the determination of place names. 1??????? That Council advertise its intention to adopt the name for the new beach area adjacent to the Lions Park, Ferry Street Macksville ?Water Sports Park?. 2??????? That comments and submissions on the proposal be received for a period of one month and that if no objections are received Council submit the name to the Geographic Names Board for advertising and adoption. 3??????? Council leave the area un-named. Gan Park or Dr Gan Park named after Dr Paul Gan who has lives opposite the park in Ferry Street.? It has been reported in the submission that Dr Gan was instrumental in the project of cleaning up the Lantana and the rubbish on the rivers edge and has been doing this for many years. Council?s Australia Day Committee recently recognised the Gan family?s tremendous contribution to the Valley at the 2012 Australia Day Celebrations. ?Names of persons should normally only be given posthumously but the Geographic Names Board, at its discretion, may approve a feature name which honours a living person if such a person?s contribution to the local community is considered outstanding.? Members of the Nambucca Valley Rivers Users Group (NVRUG) have contributed numerous volunteer hours of their time and equipment to upgrade and reconstruct the foreshore at Ferry Street Macksville.? The facilities they have constructed are there for visitors and residents to take advantage of the waterfront.? In recognition of the work in the NVRUG have submitted the name ?Water Sports Park?. The NVRUG feel the name applies to all aspects of its use and would hope to promote further enjoyment by the general public. NVRUG propose erecting a sign across the entrance posts made from a water ski with ?Water Sports Park? written along the top edge and ?Proudly Constructed by NVRUG & Nambucca Shire Council.? Council does not have a policy for the naming of Parks, Reserves or Sports Fields, however, Council is occasionally asked to provide a suitable name to identify them. A search of policies from larger councils has identified The Geographical Names Board of NSW (GNB) as the authority, under the Geographic names Act 1966, responsible for the assignation of names and places and geographic features. There are no implications for the environment associated with this report. There are no economic implications associated with this report. There are no risk implications associated with this report. There is no impact on current or future budgets associated with this report. AUTHOR/ENQUIRIES:???? Stephen Fowler, Engineering Designer ???????? In accordance with Council?s procurement and tendering procedures, the General Manager gave approval in April 2012 to invite tenders for T003/2012 Landslip Remediation Works Boat Harbour Road, Yarranbella. Tenders were invited by public advertisement in accordance the Local Government Act and tendering regulations. The Tender closed on 15 May 2012 at 2.00 pm. The tender is for a lump sum project. A schedule of rates for a third row of soil nails, additional excavation and rock fill was included in the tender submission documents for use in the event of variations to the volumes estimated by Coffey. The tender evaluation is provided to Council in a confidential circularised document. That Council accept the Tender for T021/2010 Landslip Remediation Works Boat Harbour Road, Yarranbella from JB & JA Bilson. In April 2012 the General Manager gave approval to invite tenders for T003/2012 Landslip Remediation Works Boat Harbour Road, Yarranbella. The project is for landslip remediation works on Boat Harbour Road adjacent to Lot 1051 DP706354, 100 metres east of the intersection with Williams Hill Road. The Works will be funded by the State Government under the Natural Disaster Relief arrangements administered by RMS . ??????????? Excavation of slip prone material above the existing land slip. ?based on the information supplied by council, I support your choice of preferred tenderer. As discussed on the phone, I would like a copy of tender documents and rates supplied, so we can verify any possible variations. Furthermore, I reiterate that I will need to compare tender documents to geotech report, before I can confirm whether RMS will be funding the total of the contract amount, or if a contribution will be sought from council in case of possible betterment components. Based on discussions I had with yourself and Noel Chapman, betterment component is likely to be small or possibly even non-existent. RMS is keen to achieve a positive outcome for residents, whilst providing value for money to NSW tax payers. In so far I would ask you to provide a monthly cashflow forecast for this project, so I can allocate the necessary funding, and to keep me informed about progress, possible cost over-runs and delays, as soon as they come to your attention.? RMS has been provided with the additional information as requested. The project will have minimal impact on the environment as it is restoring an existing road embankment. The contractor is responsible for the protection of the environment during construction. Residents of Taylors Arm will benefit by the reopening of Boat Harbour Road. The reopening of Boat Harbour Road will result in a saving of fuel for affected residents who are currently required to travel by way of lengthy detour routes along unsealed roads. The reopening of Boat harbour Road will relieve Council of the costs of maintaining the detour routes for increased volumes of traffic. The risk exists of cost overruns due to contract variations, however the detailed plans and specifications provided by Coffey make this unlikely. Contingency for variations has been allowed for in the funds allocated by RMS. Direct impact on the 2011/12 budget is an anticipated income from the State Government of $350,000 before 30 June (depending on State Treasury these funds may be delayed to 2012/13 financial year).The impact on future budgets being 2012/13 is an income of $700,000 or full payment of the grant being $1,050,000. Nil variation anticipated at this stage. AUTHOR/ENQUIRIES:???? Peter Baynes, Manager Assets ???????? The Ferry Street amenities building were destroyed in a truck accident in August 2011.? This report provided information on a proposal to replace the building recommends an alternative site and seeks authorisation for funding the reconstruction. 1??????? That Council endorse the location of the replacement amenities building at a site to the north west of the original building (referred to as Option C in this report). 2??????? That Council authorise the allocation of an additional $40,000 from Section 94 funds toward the cost of reconstruction of the amenities block. Council may endorse an alternative location for the replacement building, the likely option being the site of the original building. In August 2011 a traffic accident involving a truck that left the Pacific Highway on the northern approaches to Macksville severely damaged the amenities building located in the reserve area adjacent to Ferry Street.? The Damage to the building?s structure was sufficient to necessitate the total demolition of the building. A claim for damages was made against the transport company and their insurers.? That claim included an amount of $113,450 as an estimate of the cost for reconstruction of the amenities block.? That estimate was based on recent valuations of equivalent amenities buildings. Negotiations between Council and the insurers resulted in a final settlement of $60,000 for building replacement.? This lesser amount offered reflects the cost of the ?loss?, being the written down value of the building, as opposed to the claim being for the ?replacement? cost. Council received payment in settlement of the claim in March 2012. Should the building be replaced or not? The option of not replacing these amenities was not considered feasible. Where to site the replacement building? Three options were considered being the site of the old building or sites more central to the car parking and beach areas.? The attached diagram shows three options which were considered. Option A is the site of the old building.? The obvious issue with this site is the risk of a similar accident reoccurring and damaging the new building or injuring an occupant of the building.? Whilst it could be argued from a quantitative risk assessment perspective that the risk of a similar accident reoccurring is low in reality choosing to relocate the building at this site is not considered to be acceptable politically or socially.? The fact that there have been two further incidents of trucks leaving the highway in this area since August 2011 (although neither of these accidents would have impacted the amenities building) highlights the perceived risk of this location. Option B is to site the building in a more central location to the car parks, river access and beach areas.? This option is not considered feasible on two counts.? Firstly, access to the sewer infrastructure on the northern side of Ferry Street would require a pumped system which would increase the cost of reconstruction and also require ongoing maintenance.? Secondly, this area is subject to flooding which could potentially impact on the building and also cause problems with inundation of the sewer system. Option C is the recommended option.? Whilst it cannot be guaranteed that reoccurrence of a similar accident can be avoided, this site locates the building away from the likely route of wayward traffic from the highway.? This site has practical advantages in terms of access to services and is above likely flood levels.? A disadvantage of this site raised by the Nambucca Valley Users Groups is the potential negative impact on the view of the river from the Pacific Highway and Ferry Street.? This concern is noted but it is felt that with suitable design and possibly screening plants the advantages of this site outweigh the disadvantages. ?????? Aligning the building such that the access doors face the park rather than away from it as was previously the case. ?????? Provision of disabled access. ?????? Provision of an external wash basin and shower. ?????? Construction materials and building design. The cost of the replacement building will depend on the final design and construction technique. In general, the intention is to adopt a minimum standard of at least two unisex stalls, one with disabled access for construction of new or replacement amenities buildings.? Use of heavy duty, vandal proof fittings is also considered an essential design criterion.? Construction can be either the traditional method of a design and construct project or by utilising the increasing range of prefabricated restrooms now available. As an indication of the likely cost, the recently construction amenities at Anderson Park in Valla Beach are of the prefabricated type and cost $80,000.? Recent valuations of a similar amenities building in the Shire proposed a reconstruction of $113,000.? Discussions with other local Councils regarding their costs for recent amenities building show costs can be up to $150,000. A decision on the final design and construction for the building is yet to be finalised, however, preliminary estimates indicate that either of the methods mentioned above would provide a suitable building for a cost of $100,000.? This is sufficient to provide a building similar to Anderson Park but with heavier duty fittings and a more aesthetically pleasing design or to carry out a design and construction project. Given the gap between the $60,000 included in the settlement and the estimated project costs it is recommended Council allocate $40,000 from Section 94 funds to fund the reconstruction of the amenities building. Environmental factors have been considered in assessing alternative sites for the amenities building. Provision of an amenities building is considered essential to support users of the river and adjacent park areas as well as passing tourists and visitors to the Shire. Provision of adequate amenities contribute to the economy of the Shire. Given the history of this site the risk of damage to property and people from a traffic accident is credible.? Changing the location of the amenities building to the proposed site is a tangible means to reduce the risk exposure. The direct impact of the current 2011/2012 budget is an income of $60,000.? The allocation of $40,000 is proposed to come from Section 94 funds.. There is no impact on working funds.? The cost of the building will be met from the insurance payout and Council?s Section 94 reserve for open space and community facilities. Restoration works have been completed, and were charged to emergency works following the flood damage.? The amount claimed is the cost incurred by Council to repair the infrastructure. The direct impact on the current 2011/12 budget is $65,000 income which is offset in expenditure for repairs to infrastructure under emergency arrangements.